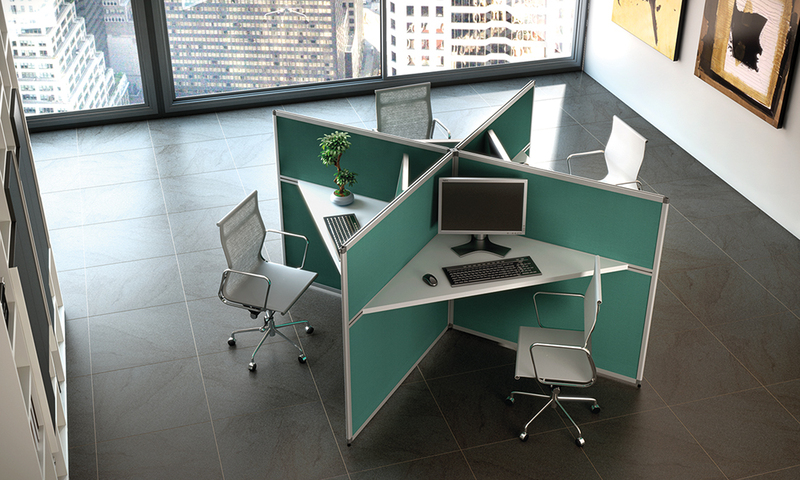 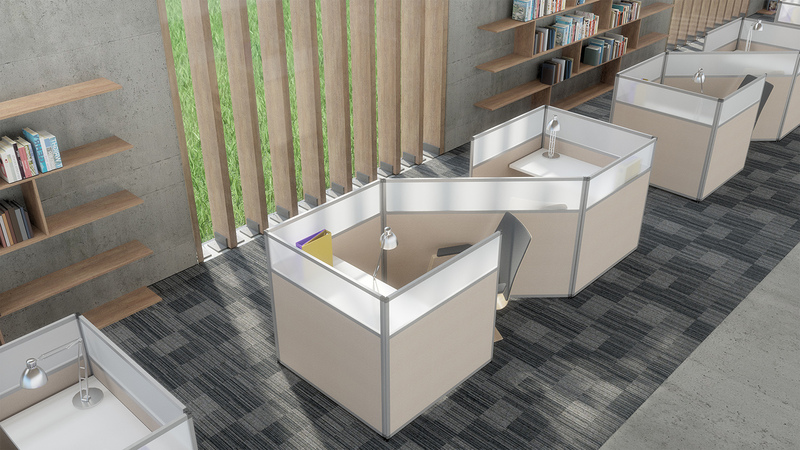 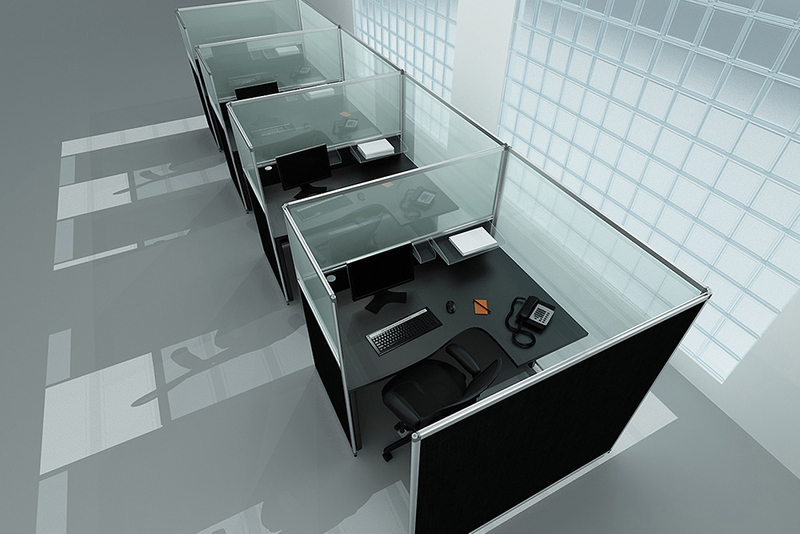 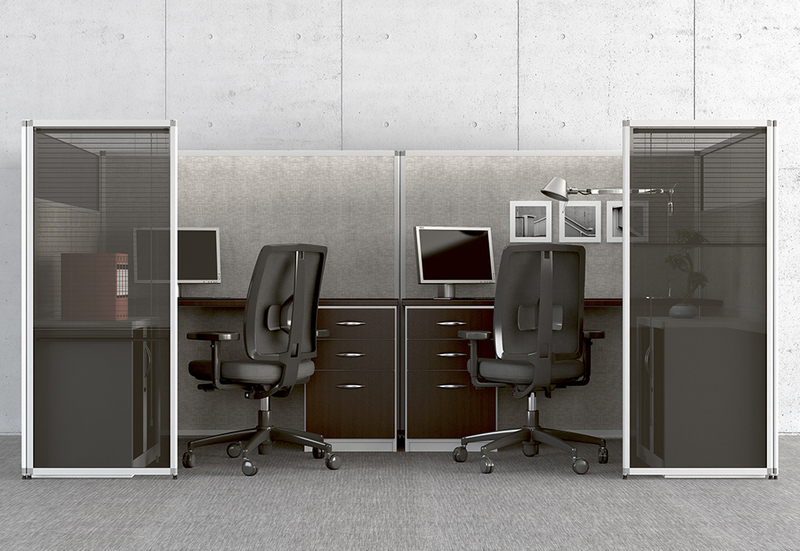 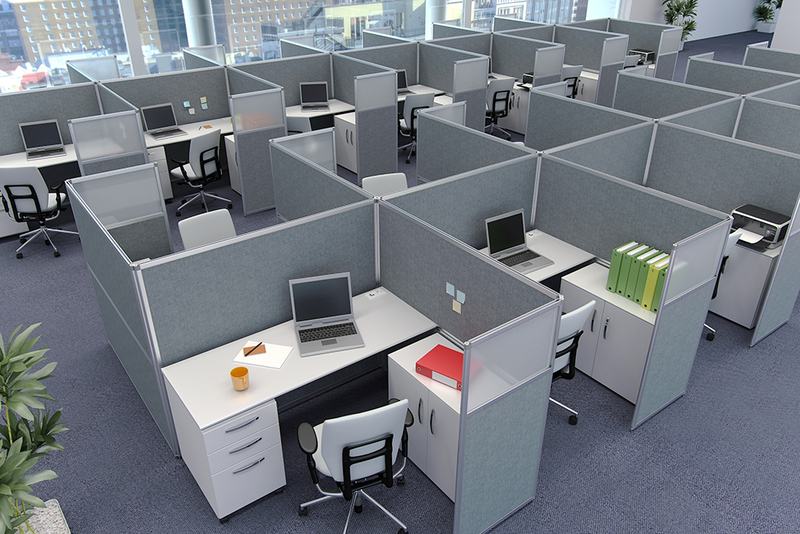 The Reyem concept allows you to create fully customised workstations. 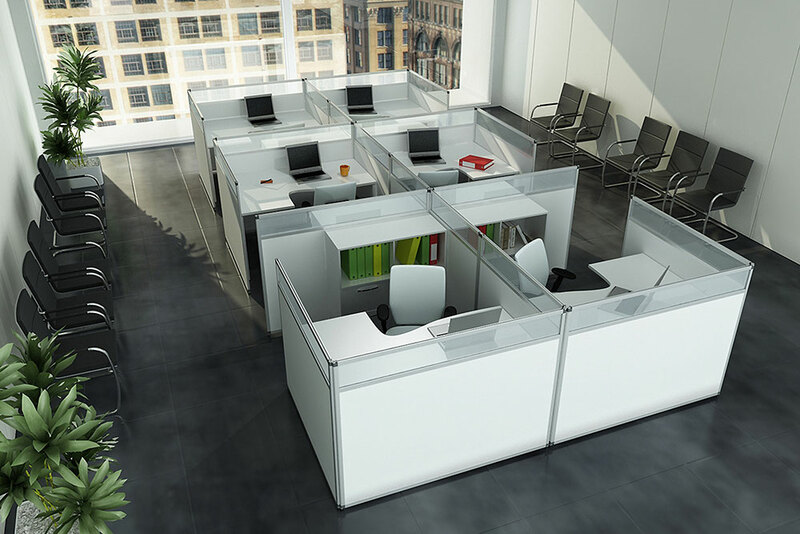 Our finishing materials are identical to those used on our partitions: melamine, fabric, acoustic or Super-Acoustic, opaque or with an integrated acrylic or polycarbonate window. 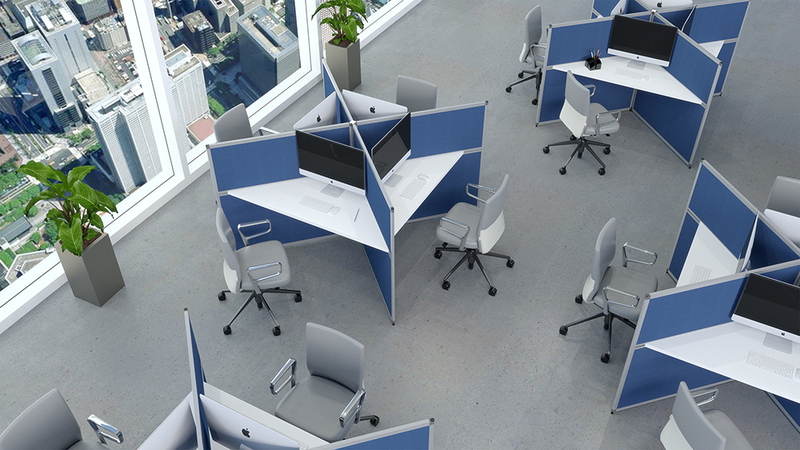 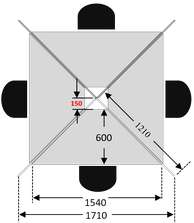 We can provide white or grey melamine desktops cut to measure, as well as cable pathway solutions for your workstations.